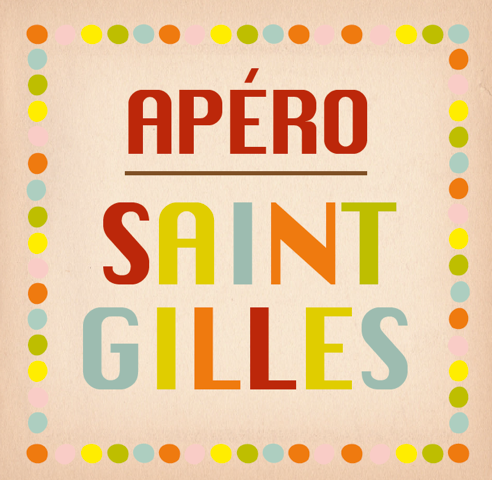 This summer, Saint-Gilles will Aperitif mode: on the pavement the beach. Michel Polnareff to sunsets of Ibiza, we will travel during these 9 aperitifs, decades in music. • A “BookBox” free and united. A library will allow you to exchange, read comics, novels and new comfort of a sun lounger. You can read them there, bring them back home (in return we ask you to supply the BookBox by providing at least one other book in compensation). • Colorful umbrellas and beach chairs as the days of our grandparents. • Large tables and benches for a drink with friends. • Urban Cook you propoosera delicious burgers every Friday. • From Lillet, a whole new appetizer and Ricard in addition to your favorite drinks and organic (Bionina Ginette). • The Carlsberg price decreases and goes to 2 euros!